Let’s face it, hiring freelancers is a cost not every seed-stage startup can afford. One important lesson I have learned from my own experiences at an early-stage startup is that every dime counts, which is why I quickly familiarized myself with Elance, oDesk, Fiverr and Freelancer. 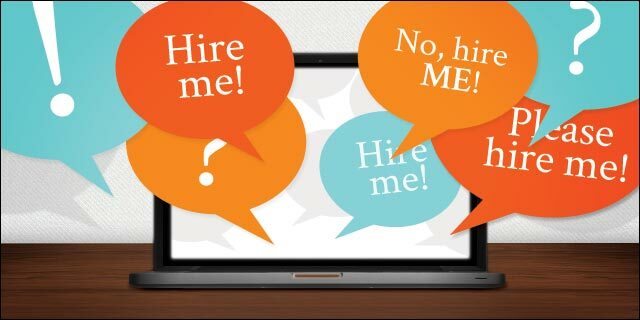 Many startup founders are apprehensive about hiring professionals online. However, budget constraints can limit your options. For anyone considering outsourcing their projects online, here are a few tips on how to hire a freelancer on the web. It really doesn’t matter if you decide to hire a programming expert for software you’re developing or a UX/UI designer for your latest app, when it comes to describing your product, you don’t want to leave any part out. In other words, you must be sure you’re explaining each and every detail in full. A basic overview of the project is not enough. You need to dig deep and ask yourself how exactly should every small portion of your project look, how should it feel, and how should it work. One example is when a startup publishes a very descriptive project for an application but forgets to write what error messages will appear if something isn’t working. What may be an obvious step to you, isn’t necessarily going to be obvious to your freelancer, so be descriptive and don’t leave anything up to chance. If your budget is $1,000, never offer more than $900. This advice is purely based off my own personal experience. Freelancers often assume that your price is open for negotiation and some of them might be worth the ping pong conversation, so be prepared with a somewhat flexible budget. Always leave yourself room to let your freelancer feel that he got more out of you than others would have. It may help the working relationship, and the end result. I used to invite many five-star freelancers to my projects at imonomy, but I quickly learned that the premium rating often came with big disappointments. I began to understand that the rating system on most freelance sites is flawed. A freelancer can finish 30 relatively easy jobs for a low price and get five stars each time. However, that doesn’t guarantee that for your larger project, the same freelancer will be up to the challenge. This can cost you a lot of valuable time, money and energy. So, before hiring a freelancer, ask to see finished similar projects. Don’t base your final decision on the rating alone. Instead, do some investigating before you commit. Many freelance websites allow you to invite people by extending an offer, so I recommend looking for professionals who are easy to communicate with. Make sure that they have Skype, Google Hangouts, or anything that allows you to get ahold of them in at a moment’s notice. If your freelancer isn’t available when you need him or her, you’re likely to face many issues that will ultimately lead to frustration. Make sure you and your freelancer can effectively communicate in the same language, and last but not least, take into consideration time zones. You’re bound to run into issues if you have to work with a huge time difference; you wouldn’t believe how the simplest PSD design project or even just basic support for building a simple Wix or IMcreator website can take a bad turn, just because you have to give instructions each day at 3:30 am. I can say confidently that with the right preparation and a touch of good luck, you can improve your ROI on any project by using online freelancers. Just keep in mind that having patience is not optional, and as with every project, the end result is not always what you first expected it to be. Avishai Sam Bitton is the Marketing Manager at imonomy.com and Founder of Go Social. He loves Internet Startups, PC Gaming, Star Wars, and Blogging. You can visit him at Startup Bloggers for more of his tips about startups.